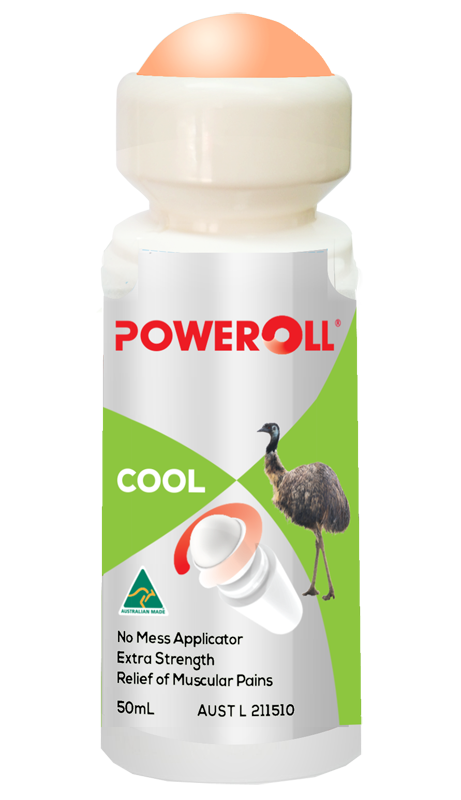 POWEROLL Cool is a unique blend of essential oils specially formulated to relieve muscle pain. It contains Emu oil and a blend of other natural ingredients. The applicator has been designed to roll easily over the skin helping to massage aches and pains as it applies the oil. Emu oil, Lavender oil, Camphor oil, Turpentine oil, Menthol, Capsicum oil. Roll on to the affected areas, massage with thumb gently in circle direction. Repeat every 4 hours as necessary. FOR EXTERNAL USE ONLY. KEEP OUT OF REACH OF CHILDREN. STORE BELOW 25ºC.